What you hold within is nothing less than the blueprint of the Universe at-large, a microcosmic duplicate of the grand design of being. There is no need to travel outside, for all you need is here - so close that it may startle you. So shut the doors and close the gates, concentrate the energy within. Inner Alchemy works from inside, out and from feet to head. Establishing a deep root, a solid foundation, for depth and stability, one anchors to the earth for stillness, groundedness and strength. Grounded humbly to earth, one may reach to heaven. Consciously, one begins the process of reversing the flow of essential life energy from streaming outward and being wasted to a backward flowing conscious preservation. With pure intention a divine seed is called to be planted in order to create the true immortal self. Spiritually pregnant with seed of true self, this immortal fetus must be carefully nourished, and cared for from within. In the course of cultivating and nourishing this pure seed, in a process of renewal, one becomes unfettered from all external conditioning, habits and patterning. With constant remembrance, this fair child is fostered, held and protected as the most precious resource, for it is who we truly are. Its parentage is the noble lineage of pure spirit - we are its mother and our greatest wish is to see it thrive and express its true essence of being. This child of the Universe is fed upon our conscious interplay of the prime elements: water, fire, wood, metal and earth, all of which are moving and melding within the inner landscape of the body. The essence of each element residing within the five major organs: kidneys, heart, liver, lungs and spleen, must further be distilled and refined in order to produce the finest elixir of spirit. Too much, too little, too fast, too slow; a delicate job of weaving silken thread and applying passionate heart is the practice of inner alchemy. 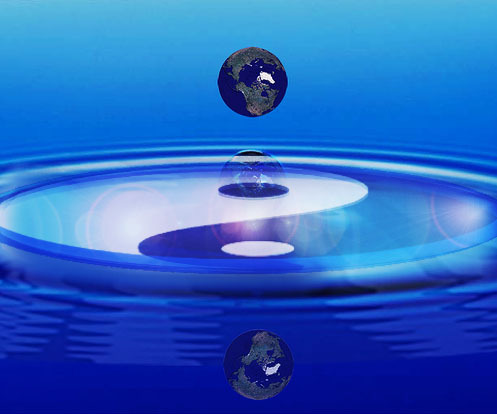 Taoist Inner Alchemy and the I Ching are irrevocably linked, and so united in Mountain SKYLIGHT e-zine, our subscriber-supported publication. See Table of Contents for a quick tour of articles. Your Journey Through Nehemiah's Dream Gates. Using the biblical story of Nehemiah's trials as a spiritual metaphor, it reveals inner teachings that have not essentially been released to the public before. 307 pages, includes 14 vivid color plates by Ohio artist, Eric Ryser. Now available from jadewinds bookstore.